An open house can be an ideal way to introduce a bulk of buyers to the property you’re hoping to sell them, and done right, an open house can sometimes generate multiple offers. The key, though, is “done right” — not every open house is going to be a buyer’s bonanza, and not every open house showcases a home at its highest potential. You want buyers walking in to feel welcome and for the house to be presented as at least a little bit of a party venue, so buyers can imagine themselves hosting their own event for friends and family in the home. What does it take to prepare for and host the perfect open house? The following 19 steps will help you create a memorable (and, ideally, lucrative) event that will have buyers dreaming about living in your home. A theme for your open house might feel a little precious, and it’s certainly an above-and-beyond step that might or might not be necessary, depending on the market you’re in and the price range of your home. But on the other hand, a theme might draw people through the door who wouldn’t ordinarily be all that interested in your home — and you never know: Once they see your house in its very best light, one of those people could turn into your eventual buyer. Maybe “backyard barbeque” is as far as you want to go with a theme, and that’s completely fine, but if you’re trying to sell a luxury property with a ballroom, then perhaps hiring a band and hosting a dance event is just the thing to showcase how much fun living in your home can be for the owner. Depending on the season, maybe you could also do an Easter egg hunt, or set up candy stations in every room on Halloween and provide trick-or-treat baskets at the front door. A broker’s open house is an open house specifically for real estate agents or brokers who have buyer clients. It’s another option that you might discard as too much work, but hosting a broker’s open house before your home actually hits the market can create some buzz around the property and help with word-of-mouth advertising — if an agent or broker thinks it might be perfect for their client (or clients) and have a chance to walk through and check everything out in advance, then they’ll be more likely to add it to their list of “must-visits” when you host an open house for the general public. Deadlines make things happen, so give yourself one when it comes to your open house. The timing is up to you, of course: Weekends are perennially popular for open houses because lots of buyers tend to be available, but for buyers who work alternate schedules, a weekend might not work so well. A weekday evening might be a better option, depending on the price range for your home and whether a bulk of qualified buyers work in jobs that keep them mostly occupied on weekends. Consult with your real estate agent about which days of the week and times of day have historically worked best for them, and see what you can find out about the schedules and availability of most buyers in your area, then figure out a time and date based on what you’ve learned and start getting ready for launch. No one will show up to your open house if you don’t tell them when it’s happening and where it is, so marketing the event is a critical component for success. There are a number of ways to do this — you can put a notice up at the post office or possibly even the local coffee shop, ask your agent to add it to your listing information, see if any local publications will let you place an open-house advertisement in the appropriate place, post information at your agent’s office and even other brokerages (if allowed), and of course, set up signs the day of the open house with the address and time clearly visible. Social media is another fantastic way to advertise your open house. Put it up on Facebook and add it to any neighborhood-specific groups so that people who are interested in the area can see it and tell their friends. Make sure you post it on Nextdoor, too. Twitter and Instagram might be a little bit more hit-or-miss, but your agent may have some good ideas for how to target and advertise the open house and get the maximum number of buyers through the door. Once you’ve set a date and advertised the home, it’s time to get your property ready for its close-up — and, fair warning, that’s probably going to take a lot of work. You’ll need to transform your home from loved and lived-in to looking more like a vacation rental: The ideal look is comfortable and inviting, but not personal. Start with a serious clutter-removal operation, including furniture. You might want to get rid of a few chairs or even an entire sofa in the living room, end tables or even an entire dresser in the bedroom, and a file cabinet or other ancillary furniture in your home office. Remove any personal items, including family photographs from the walls or fireplace mantle, and if you have substantial music or book collections, it might be a good idea to scale back the number of items. Remember the ideal and focus on culling any potentially alienating or divisive items, especially; it’s fine to have a fixation on religious or political collectibles or artwork, for example, but if you wouldn’t find it appropriate in a vacation rental, then you should probably get it out of the way for your open house event. Once you’ve eliminated the clutter and even some of the furniture, it’s time to rearrange what’s there so that you don’t have obvious gaping holes in your decor. Your agent might be a good resource here, especially if you’re not sure how to replace the giant boudoir-focused images you had hanging on your bedroom walls (hey, we’re not judging!). Renting some artwork or items from a stager could work nicely for you, but you may also be able to get away with buying some inexpensive but nice-looking landscapes from a local thrift store and putting those on your walls instead. Think about the flow of your rooms as you move furniture around and try to leave plenty of space for visitors to walk around and through each room. Open house visitors are absolutely going to look in your closets, cabinets, open drawers, and generally check everything out that they can — after all, if they’re thinking about buying it, they’ll want to know what they’re getting. So give yourself time to go through your closets and remove anything extraneous, such as out-of-season clothing and shoes, and do your best to arrange everything that remains in a nice, neat, orderly fashion so you won’t feel embarrassed if someone opens up the closet door to peek inside (and they will). The junk drawer in the kitchen should also get some attention, and spend some time organizing and arranging your kitchen cabinets and storage closets, too. To make buyers truly feel welcome, you shouldn’t have any area of the home or any doors off-limits or locked, so definitely don’t give into the temptation to shove everything into one closet or storage space and shut the door. As you’ve been decluttering and moving things around, you’ve probably noticed some deep-cleaning opportunities that have been previously hidden, from dust bunnies to dirty baseboards. If you want to tackle these opportunities yourself, then have at it, but this might be an ideal time to hire a cleaning service to help you get the house shiny clean; an hour or two of hired help can work wonders. Wipe down your cabinets and any countertop appliances in the kitchen; wash your windows; take a toothbrush to your sinks and detail-clean them; dust and vacuum and mop absolutely everything, everywhere. Don’t be surprised if new spots to clean keep popping up as you go — it’s absolutely normal for you to start noticing dust and grime in places that previously seemed clean as the surrounding areas get the royal treatment. So that said: Allot yourself more time than you thought you’d need when you initially planned this cleaning task. You may discover as you clean that there are scuffs on the wall that need to be touched up with paint, or chips in your crown molding that could use some attention. As tempting as it might be to leave these projects for later, do yourself a favor and tackle them now — they’ll stick out like the proverbial sore thumb in your spotless house and give it an air of grubbiness or even being slightly run down. This goes for the outside of your home, too: If the garden needs weeding, the porch needs sweeping, or there’s grass peeping up between the bricks on your walkway, now is the time to address it. First impressions matter, and you want buyers to get the best possible first impression of your home. 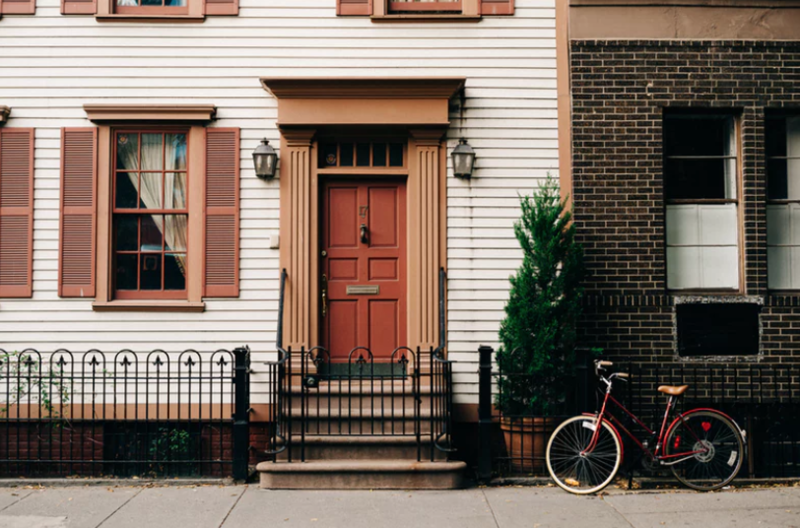 Ask your agent or a friend or neighbor to walk around outside and through the house with you and point out anything that looks out-of-place — then fix it. The idea of an open house is, of course, to sell your home, but the reality is that some people think of open houses as an opportunity to take things that don’t belong to them. Jewelry, collectibles, and anything that you’d feel especially heartbroken about losing should be removed from the premises entirely if you can swing it, or secured in a safe or in a locked car if you can’t. Car storage might not be the best plan for your priceless vinyl collection, so think carefully about what can be stored where and make plans accordingly. If you have pets, you shouldn’t leave them loose during the open house — people will be walking in and out, and possibly not paying attention to animals, and you don’t want them getting out into the street, especially when there might be more traffic than normal on your street and in your driveway. Plus, you don’t know how many buyers might have allergies to your fur babies, so you want to protect them, too. A friend or relative may be a good option for taking care of your pets for the day, or perhaps you can drop them off at a pet day care facility for a few hours or an evening to keep them safe and out of the way. The day of the event, make sure that your sign plans are in full effect — put one outside your house, at any intersections that lead to your house, and possibly at the entrance of your neighborhood. Fill up balloons to attach to the signs, and make sure the address and time is clearly marked on your signs. And if you don’t already have a plan for removing them when the open house is over, figure out the best way to do that so you’re not annoying the neighbors (or dealing with drop-in buyers who didn’t pay attention to the times on the signs; it happens). It’s helpful to provide some documentation or assets for your potential buyers to take home with them, so print up some fliers that include basic information about the property: The square footage, details about the materials and school district, your asking price, and any additional tidbits that you think might entice buyers, such as the home’s proximity to local landmarks, favorite restaurants, or whatever else might be a selling point for the home. Place the fliers in a prominent area (by the front door or in the kitchen are two popular choices) so they’re easy to find and tempting to grab. If it’s the middle of winter, you might want to skip this step — but if the weather is nice outside, pull open your window coverings and crack those windows to let some fresh air inside. It will help your home feel airier and more welcoming; if it’s really too cold to leave them open for the duration of the open house, then just keep them open for an hour or half an hour and close them again. You’ll still get the benefits of the fresh air without freezing out your guests. Not every open house offers food and drink, but if you’ve decided on a theme and have been advertising your open house accordingly, then you’ll need to get everything ready for your guests. You can go as low-key as cookies and lemonade or provide a full meal of hamburgers, hot dogs, and chips — that’s up to you and your agent, as someone is going to have to man a grill and serve the food if it’s on the agenda — so plan ahead, and that way you’ll be ready to execute when the time comes. A vase of flowers on the dining room table or kitchen counter can help your house feel more inviting, especially after you’ve cleaned out all the personal items. Get some fresh flowers to set out the day of your open house and place them strategically in the home — your bedroom dresser and even office desk can be other places where flowers can give your property a real pop with just a little investment. You’ve probably heard the tip about baking cookies during an open house to make it feel more like home to anyone walking through, and this tip can definitely work wonders, but it doesn’t necessarily have to be cookies. If you like to bake bread, maybe popping a couple of loaves in the oven could be a good choice for you — or pie, or cake, or whatever else you think might help sell your home. Listing agents usually have good ideas about what to bake, so talk to yours and see if they have any outside-the-cookie-jar suggestions. It’s tempting for sellers to stick around and show off all their hard work, but do yourself (and your home) a favor and resist the temptation. Think about how it feels when you walk into a clothing store or onto a car lot and someone follows you around trying to talk to you — most buyers, no matter what they’re buying, cannot wait to get away from that kind of attention, and it’s much better to have your buyers leisurely strolling through your home and discovering it at their own pace than subjecting themselves to a guided tour from the sellers. Find something to do for a few hours where you won’t be tempted to come back; go to a movie or a sports game, or take yourself on a winery tour. Whatever it takes to keep you away from the premises for the duration of the open house, do it. Buyers (and agents and brokers, if you host a broker’s open house) are going to have opinions about your home, so the first step to accepting feedback is to acknowledge those opinions exist — and the next step is actively soliciting it. Even if you don’t agree with it or like everything they have to say, it’s smart to at least listen to any feedback that’s offered about your home so that you can take it into account, especially if you don’t get many offers — or any offers — and the house lingers on the market for some time. Is there something you can do to incentivize buyers, or something you can fix that will help the house sell? Feedback from the open house can help you figure out what, if anything, that might be. Open houses are an excellent way to showcase your home to qualified buyers and help them see it in its very best light. If you make sure you prepare adequately and plan ahead, your open house is sure to be a success — and you might even have an offer before the open house is over. Buying Before Or After Marriage: What Should You Do?